Romantic quotes for him or her: My heart races when I see you. Every. Single. Time. My heart races when I see you. Every. Single. Time. When your entire body reacts as you see him or her. When your heart starts racing like crazy when you see your boyfriend, girlfriend, husband or wife.. THAT feeling! If you love that feeling and if your heart starts racing when you see that special someone in your life, then you simply have got to make him or her smile by sharing this quote! My heart beats a little faster when you’re next to me. My heart beats fast when I see your face and hear your voice. This heart of mine beats faster. All because of you my darling. 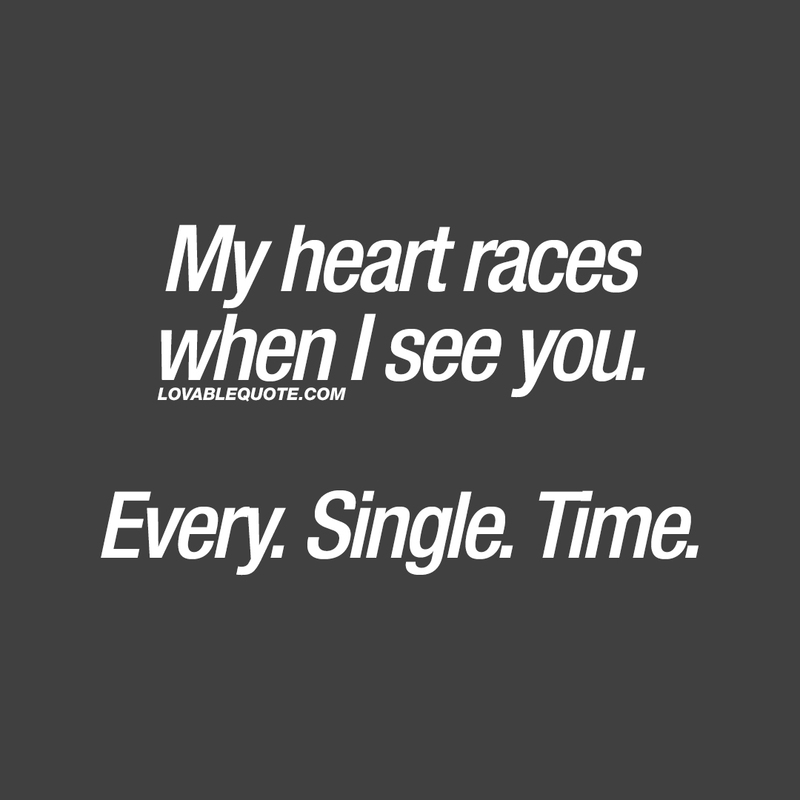 This “My heart races when I see you” quote (text and image) is copyright © Lovable Quote 2018.